Happy Valentine's Day, Cosmo Girls! Psst. We wrote you a love letter. 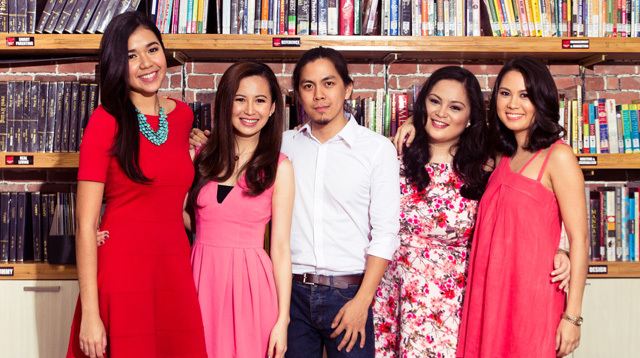 Meet the Cosmo.ph team: (From left) Assistant Managing Editor Sandra Pineda, Editor-in-chief Jillian Gatcheco, Associate Art Director Jico Joson, Editorial Assistant Retty Contreras, and Assistant Lifestyle & Relationship Editor Gianna Banzon. When all else fails, there's always hugot quotes to keep you company. Oh, and this breakup playlist. But really, who cares if you're single when you have crazy girlfriends like these who will sing Taylor Swift songs with you all day, every day? So let's all do a happy dance and remind ourselves that above all things, we need to love ourselves first. And ~*~everything else~*~ will follow.